Under the direction of legendary hat maker, Kevin O’Ferrel, JW began his career in Durango, Colorado during his senior year of high school. He then moved to Phoenix, Arizona in the early ’90’s and worked for Aztex Hat Company for three years. His obvious talent gained the attention of western retailer, Ron Perryman, and JW was asked to oversee and build a new custom hat department in Perryman’s Western Wear, a well established western store in the Valley. The hat department within Perryman’s was such a success, that JW was again asked to open another custom hat department at Saba’s Western Wear, which had 11 storefronts in the Phoenix area at that time. After working and gaining experience with other businesses, JW decided to “hang his own shingle” and he started crafting a wholesale hat line under the name of Powder River Hat Company, in 2000. It was later in 2006, when JW and Jody incorporated JW Brooks Custom Hat Company, LLC, and they opened a beautiful retail location in Scottsdale, Arizona, with a focus on a high-end custom made cowboy hat. JW and Jody collaborated together and formed the extremely popular Neon Cowgirls Hat Company, a fashion forward women’s line of custom cowgirl hats. With Jody’s influence and direction, this women’s line of hats eventually would come to make up approximately 50% of JW Brooks Custom Hat Company’s business. In 2013, JW Brooks Custom Hats was moved 40 minutes outside Fort Worth to Lipan, Texas. The decision to change locations was based on the fact that JW and Jody spent much of their time vending and selling hats in Texas. The decision to move was a good one and allowed the company to continue to grow exponentially every year since it’s creation. Owning and operating a widely popular, reputable and proven business, JW and Jody were approached with an offer of purchase for the company in late 2016. 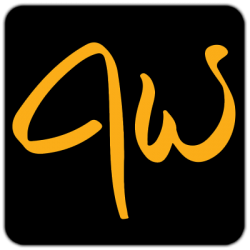 JW was retained as a consultant and the sole custom hat maker for a period of two years. That consulting agreement contract expired on March 29, 2019. Having the talent and passion for building artful and quality custom cowboy hats for a majority of his life, JW, along with the support of his family, is looking forward to continuing his legacy in custom cowboy hat making. He has always considered it a privilege to provide cowboys and cowgirls with a superior custom product that is synonymous with western heritage. J.W. Brooks was born in Durango, Colorado and raised on the ranch lands of Colorado and Wyoming. He believes that it was this lifestyle that instilled in him the desire to preserve the country lifestyle and western heritage. From a very young age, it became apparent that J.W. was destined to become an ARTIST. At the ripe old age of ten, J.W. illustrated a children’s book and by the time he graduated high school, he was being commissioned for his western art. In 1994, J.W. was the youngest artist commissioned to render Phoenix, Arizona’s “Rodeo of Rodeos” rodeo lithograph. Phoenix later asked J.W. to be the featured artist again in 1996 and 1997. In 2004, he was honored again by Scottsdale, Arizona’s Parada Del Sol Rodeo to be their featured artist. In 1991, J.W. was hired by legendary hat maker, Kevin O’Farrell, owner of O’Farrell Hat Company, on a hunch that J.W.’s artistic hand would lend itself naturally to the crafting of a cowboy hat. He was right! It was during his apprenticeship under Mr. O’Farrell that J.W. realized a sense of pride and accomplishment in producing pieces of wearable art that stemmed from his own western heritage. Shortly thereafter, J.W. joined the house band at the famous country western bar, Mr. Lucky’s where he had the honor of singing on the very stage where legends had sang before him, such as Waylon Jennings, Charlie Pride, J. David Sloan, Kenny Chesney, Keith Urban and many others. You can listen to J.W. at JWbrooksmusic. Yee Haw, Ya’ll!! !” Being raised in Georgia couldn’t stop this southern gal from being a cowgirl! From the time Jody was a child, she dreamed of living the cowgirl’s way of life. Jody’s parents were accomplished riders, so she was practically raised on the back of a horse. Jody began showing horses at a young age and has continued throughout her adult life. She has excelled in showing horses in western riding, ranch horse competitions, reining, and reined cow horse. She was elected as a board member to the Georgia Reined Cow Horse Association in 2006. She is currently a member of the Cowgirl Hall of Fame in Fort Worth, Texas. 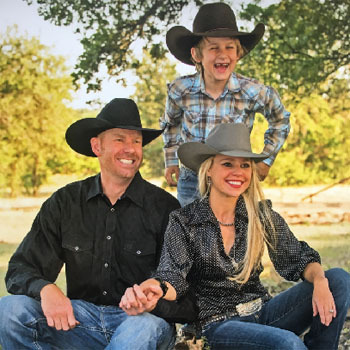 Jody has two AQHA Reserve World Champions in the Ranch Riding, a Stock Horse of Texas Derby Champion and her horses have won the prestigious Ranching Heritage Challenge in Amarillo in 2015 and, again, in Fort Worth in 2016. Residing now near Weatherford, Texas, she is married to J.W. Brooks. J.W. is a custom cowboy hat maker, western artist and country singer. Together, they own JW Brooks Custom Hat Company, and turn out the “most recognized custom cowboy hat” in the country. They also have a hat fan base in Australia and China. 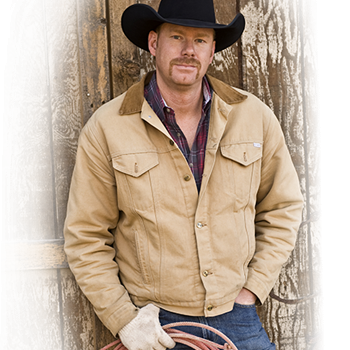 The company has many high profile cowboys and cowgirls who endorse their product, such as Al Dunning and Craig Cameron. Their list of sponsored associations have included the National Reined Cow Horse Association, Road to the Horse, and Stock Horse of Texas. Jody enjoys traveling with their company to many premiere horse events across the country and the good people she meets along the way. Without abandoning her southern roots, Jody finds the western way of life suits her just fine. Both JW and Jody have been featured on a National Geographic tv series, RFDtv, Craig Cameron’s Ride Smart tv show, multiple radio and tv interviews and commercial print advertising. Their hat company has featured ads in magazines such as Cowboys and Indians, Western Horseman and Cowgirl Magazine. JW and Jody have been featured in multiple novels such as: “Cowboy: The Ultimate Guide to Living Like a Great American Icon” by Rocco Wachman, “My Cowboy Heros. Volume I”, by Jim Olson, “Reaching Out, Lessons of God”, by Robert S. Welch, and their hat company, JW Brooks Custom Hat Company, was highlighted in “Lord of the Arena”, by renown Texas western novelist, William Chambers. JW and Jody have a young son, Caden, age 11, who loves being a cowboy, cracking his whip and riding his horse, Seco. This family is honored to serve as ambassadors for western heritage by providing to their customers the very best of an iconic and traditional symbol of a cowboy – the cowboy hat!